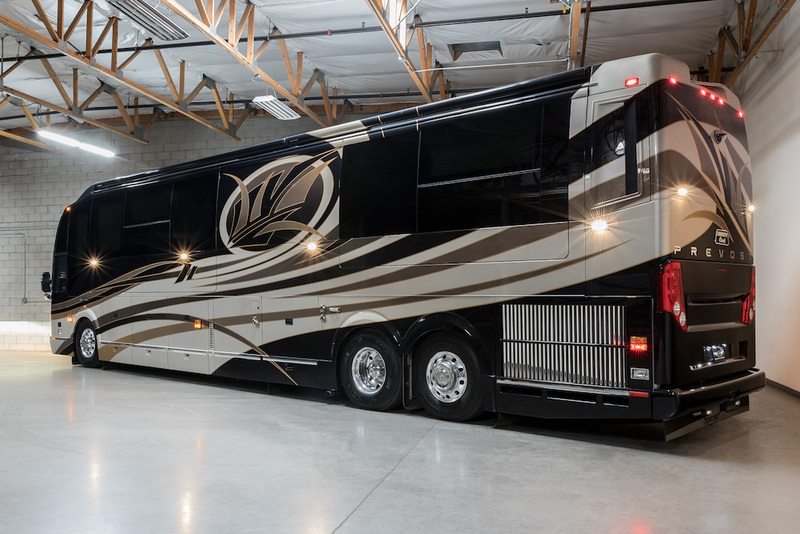 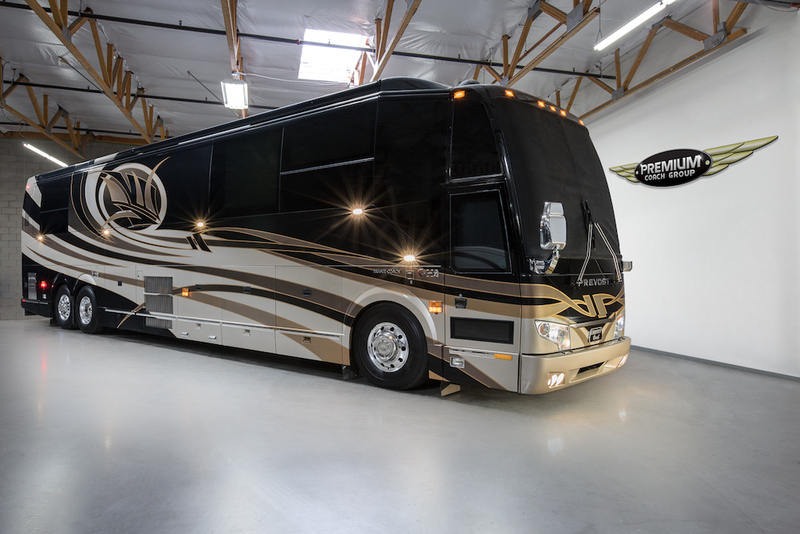 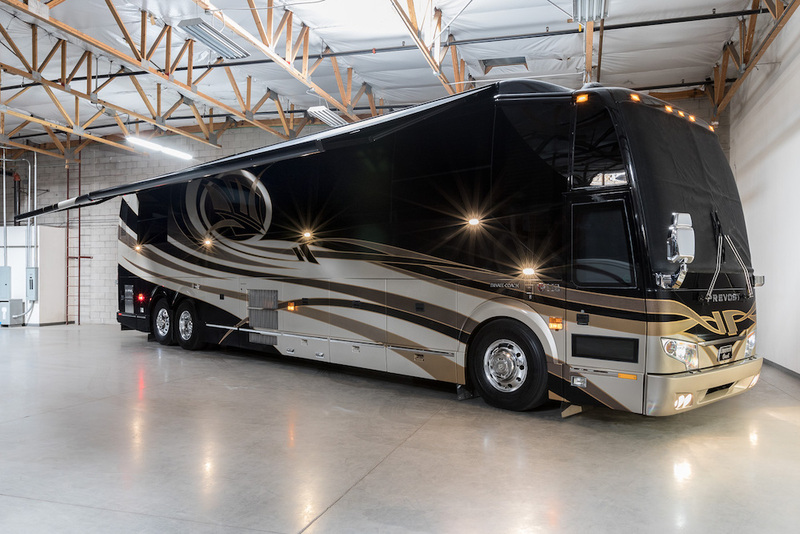 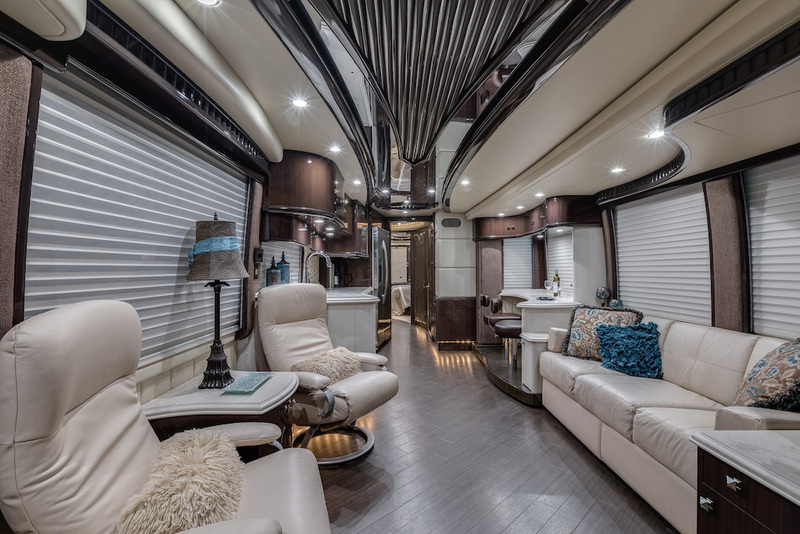 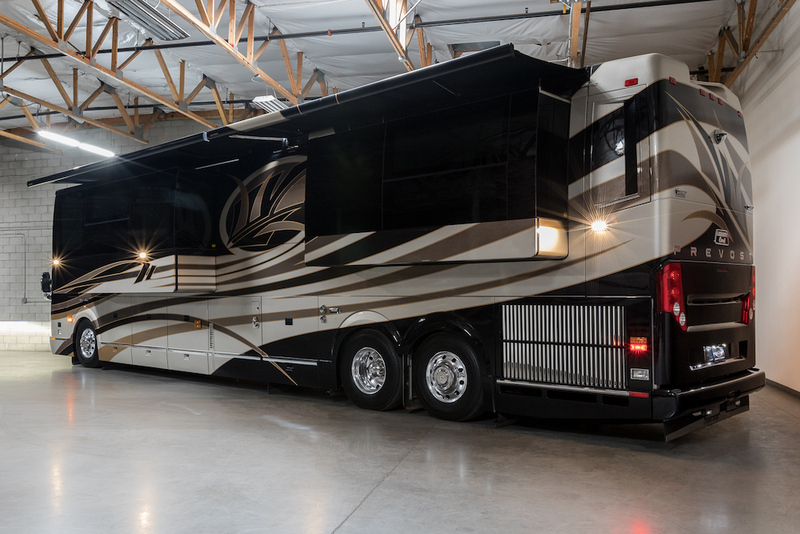 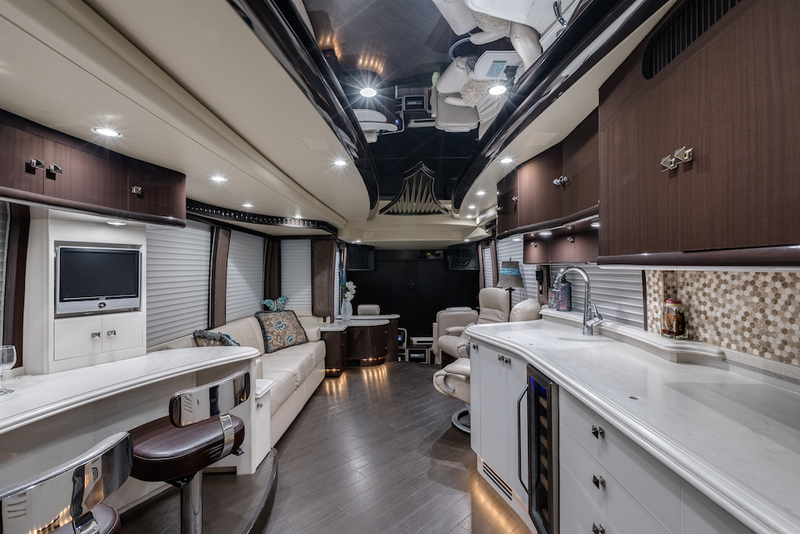 This Absolutely Gorgeous Liberty Elegant Lady H3-45 Has Updated F & R Caps - Even The Most Discerning Prevost Aficionado Would Have A Hard Time Telling It From A New 2018! 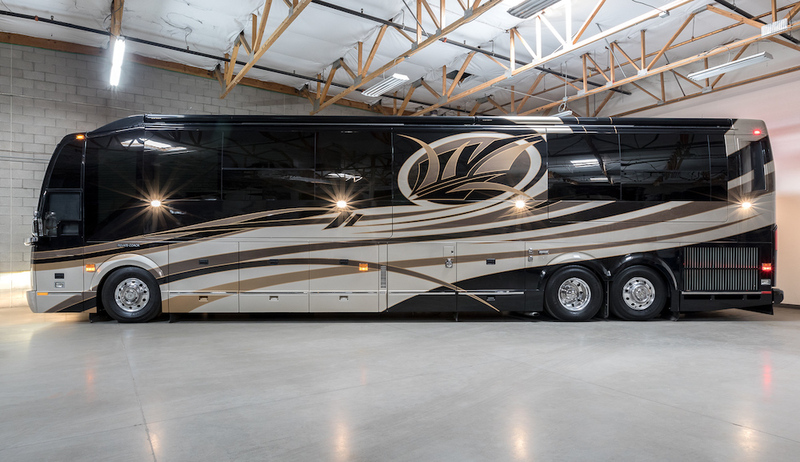 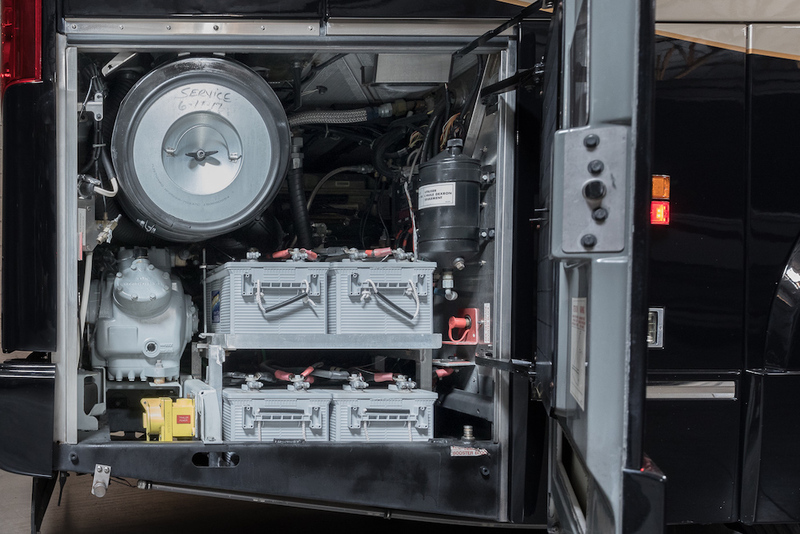 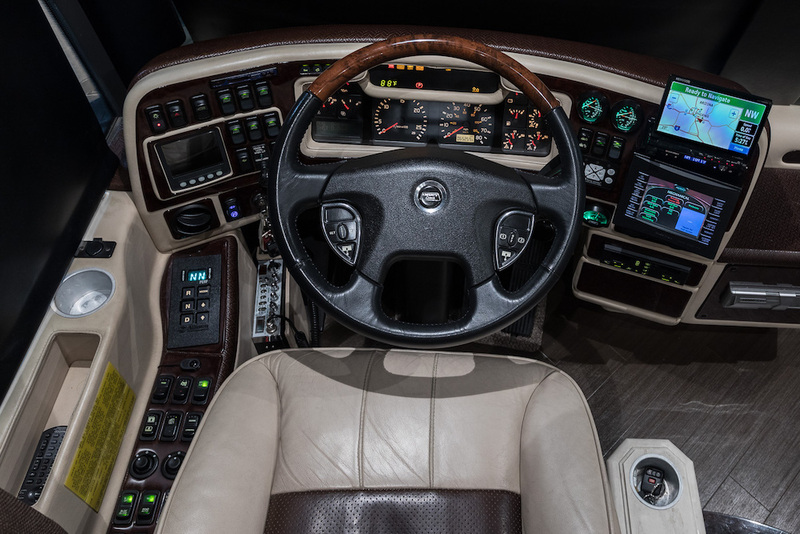 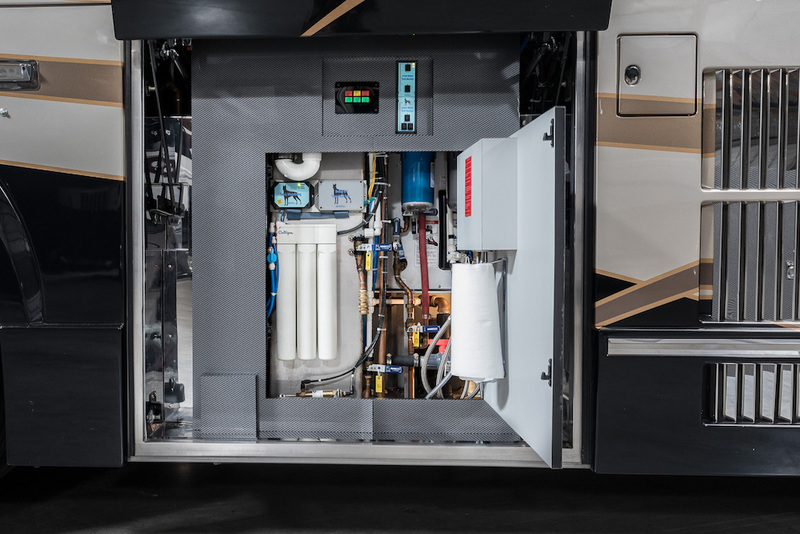 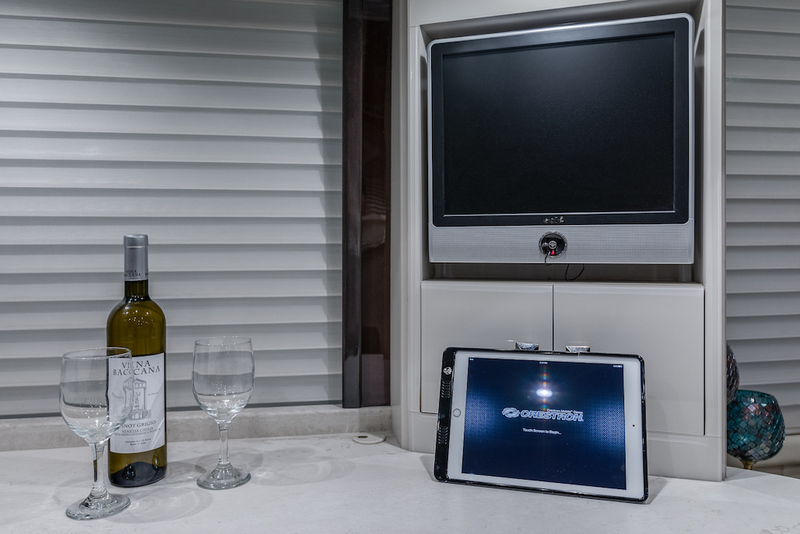 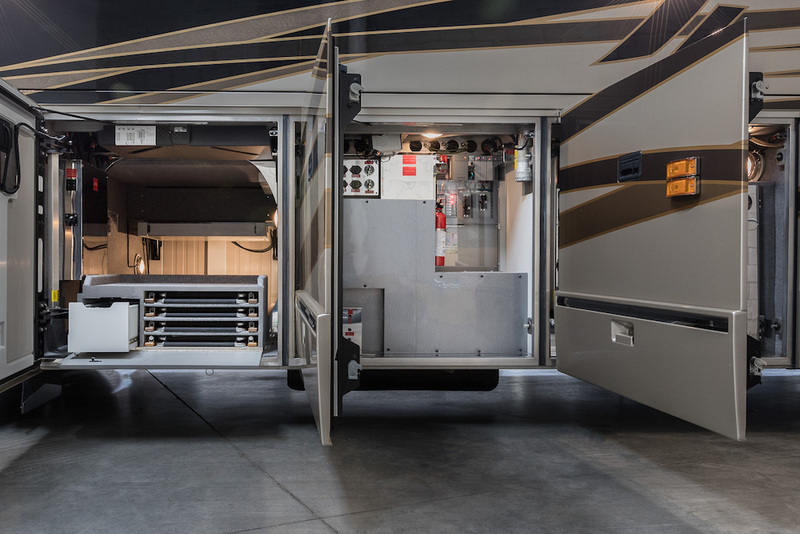 Featuring Prevost Over The Road A/C, 4-Cruiseairs, 80K BTU Webasto, 20KW Turbocharged Genset, Outback Inverters & So Much More. 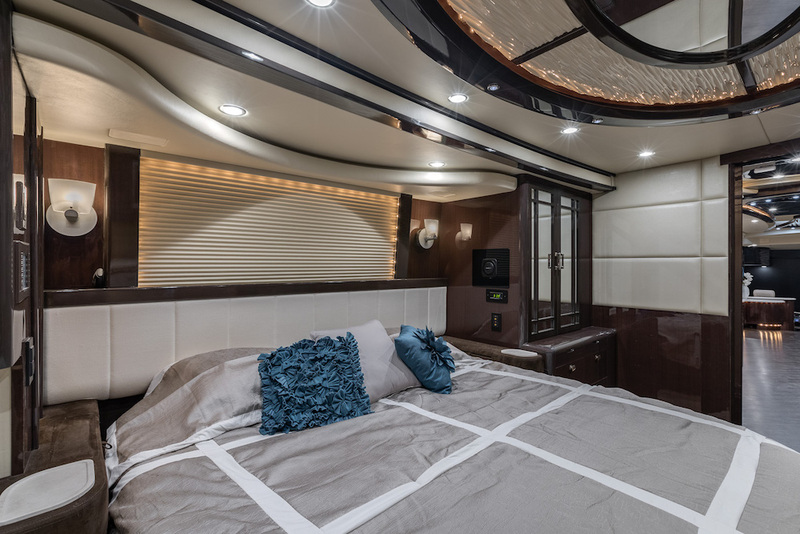 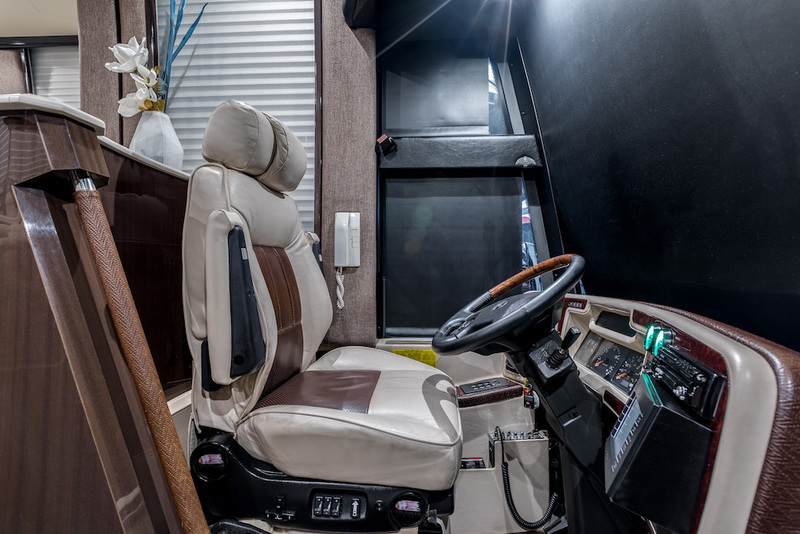 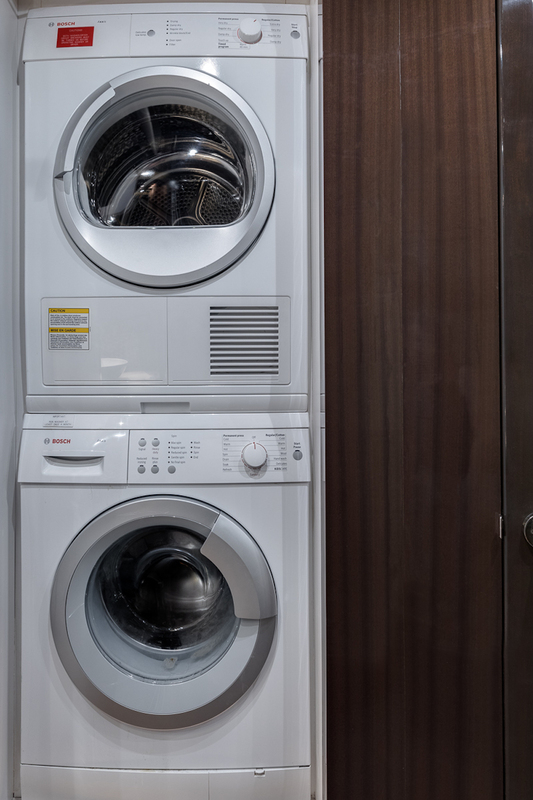 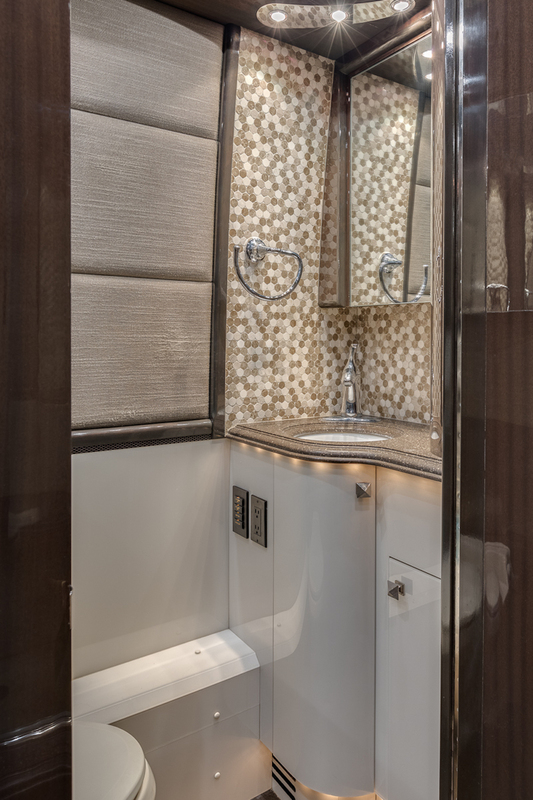 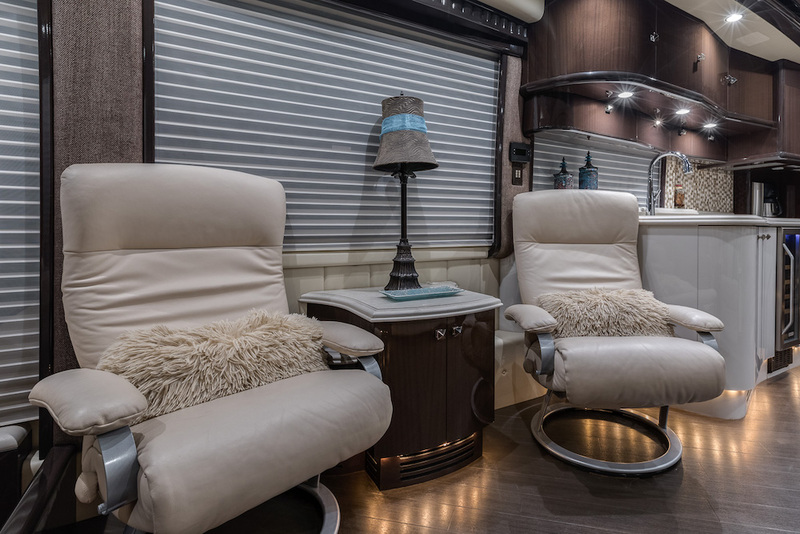 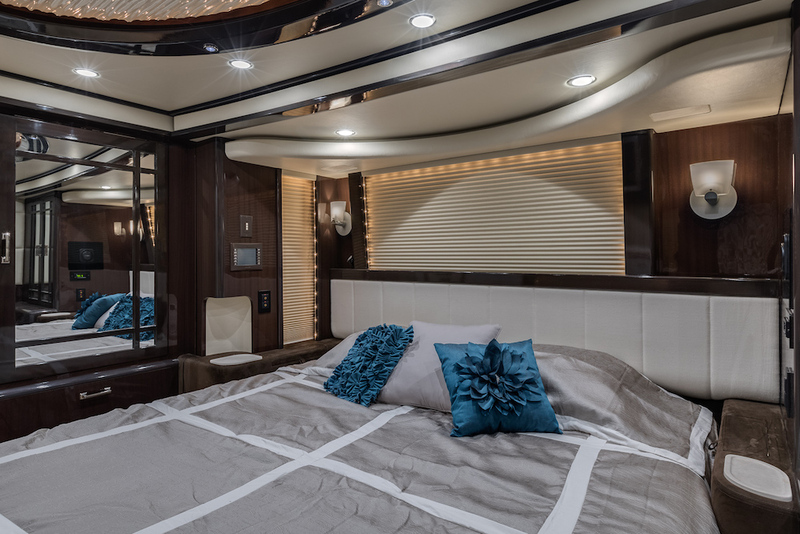 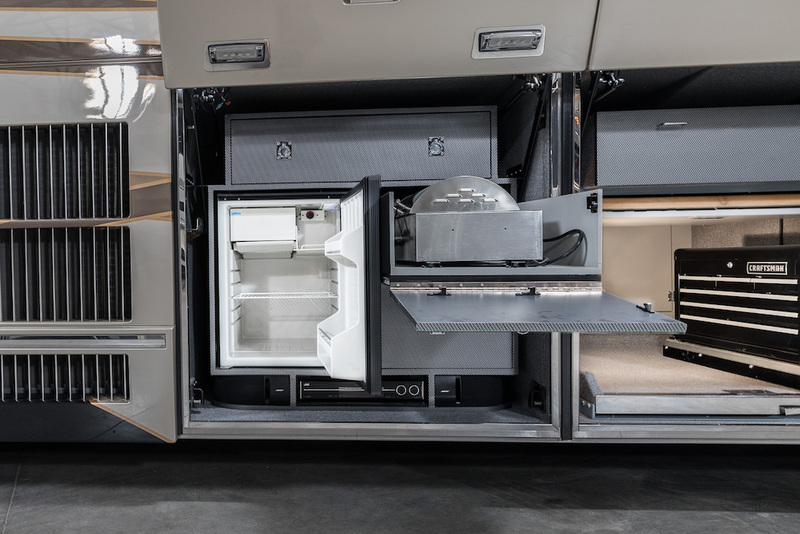 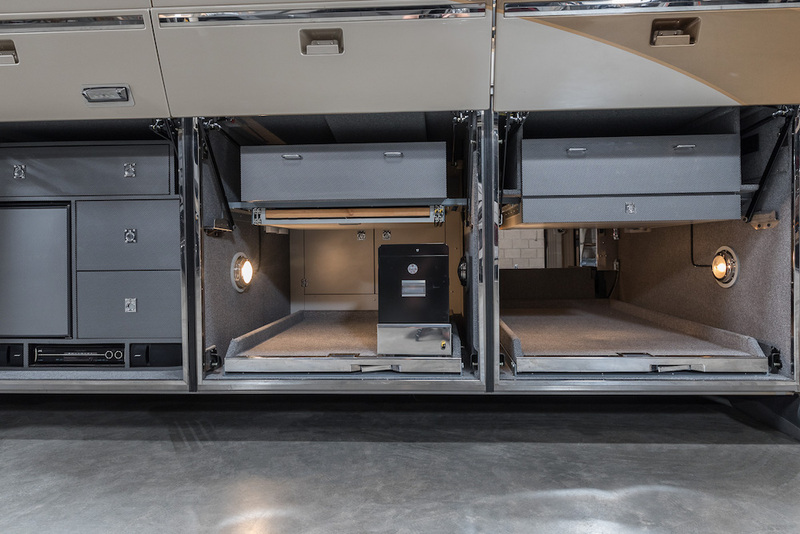 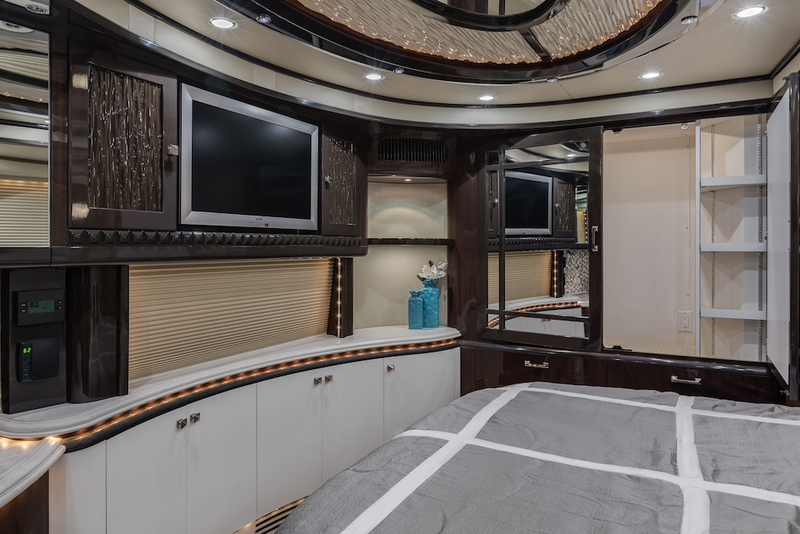 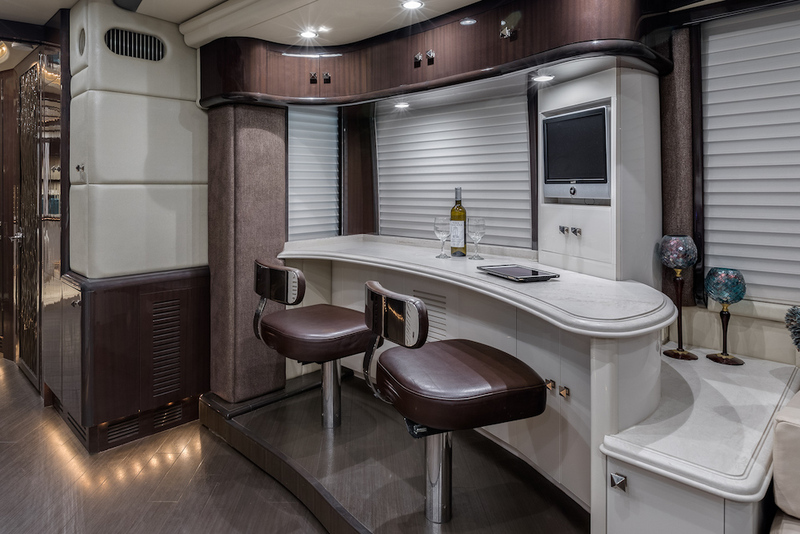 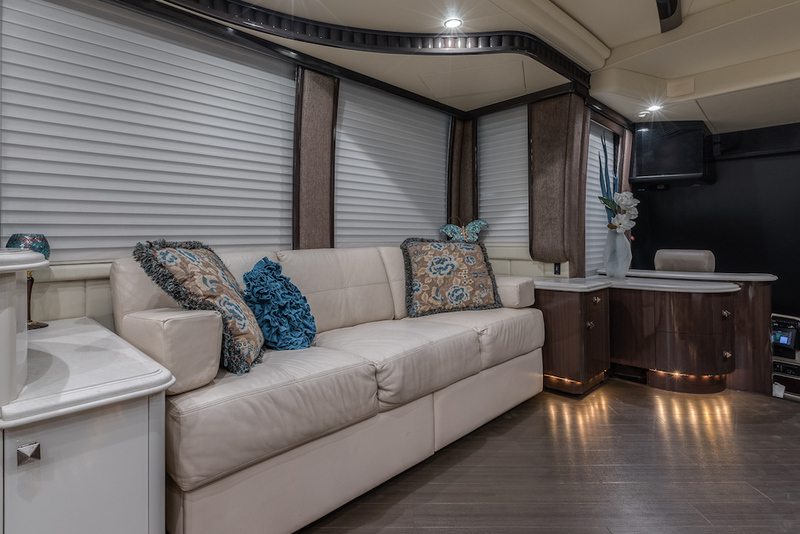 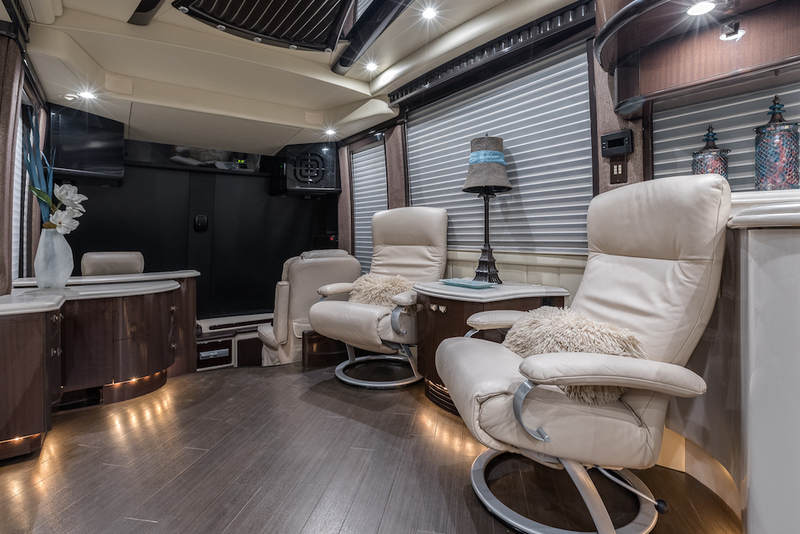 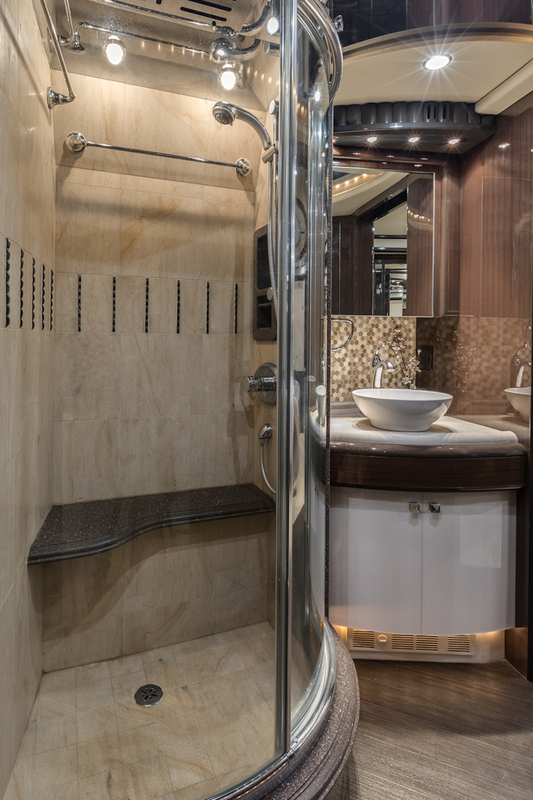 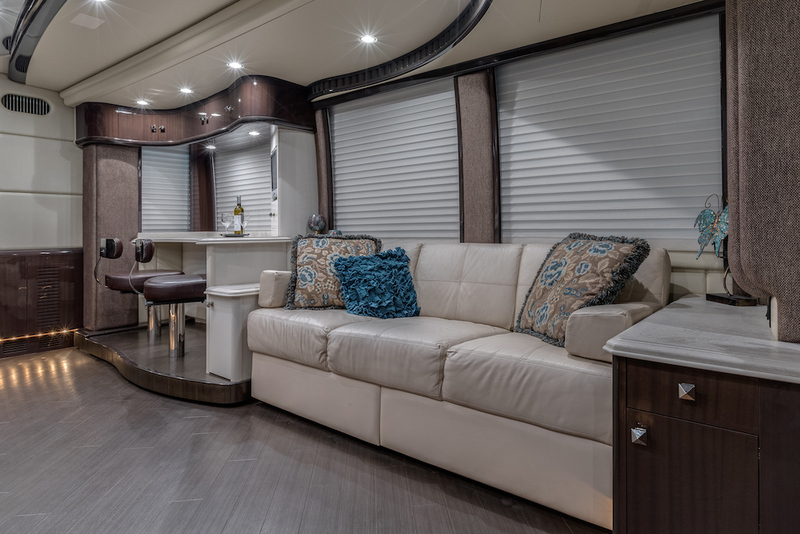 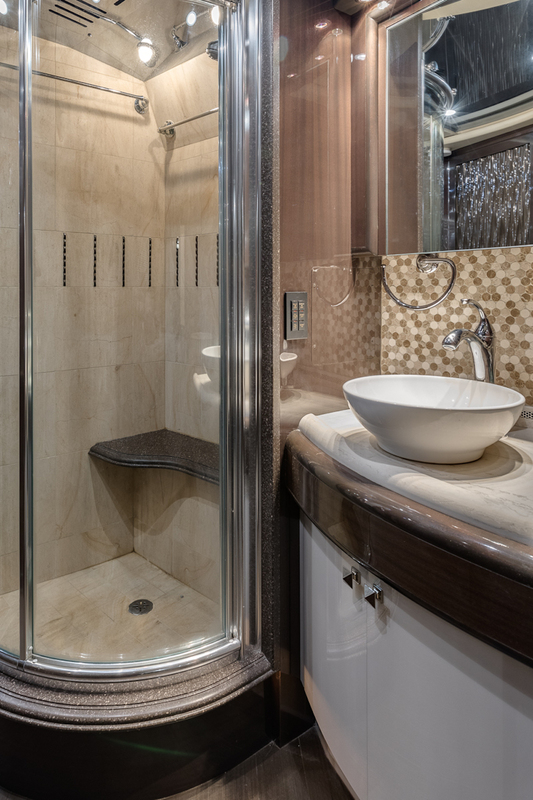 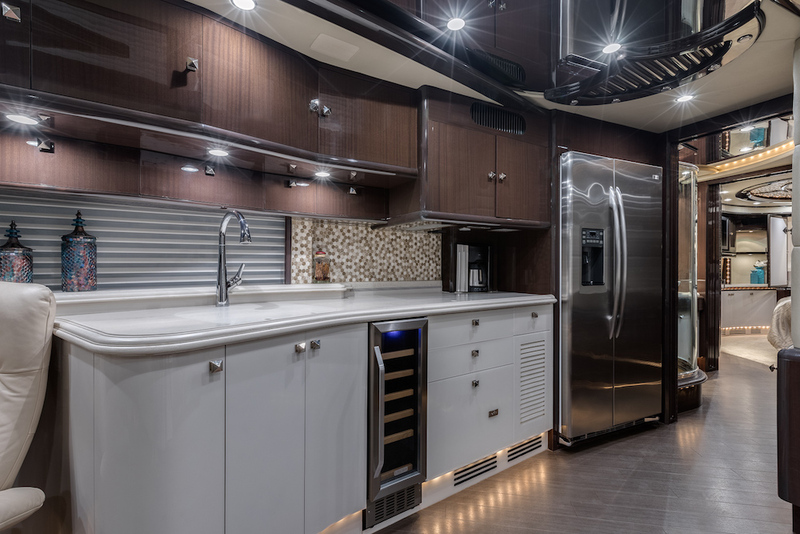 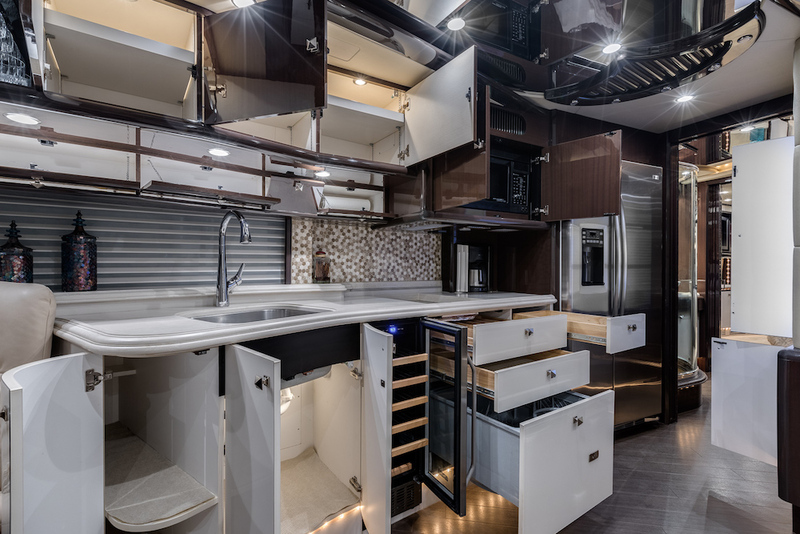 This Spectacular Coach Is Finished In Soft Contrasting Tones Of Mocha & Ivory, With Honed Countertops, Diagonally Set Wood Look Tile Flooring, 3-Salon TV's, Wine Cooler, Fisher Paykel Dishwasher Drawer, Stacked W/D, King Bed, 2-Vessel Vanity Sinks, And Even A Third Small Basin Sink In The Private Water Closet. 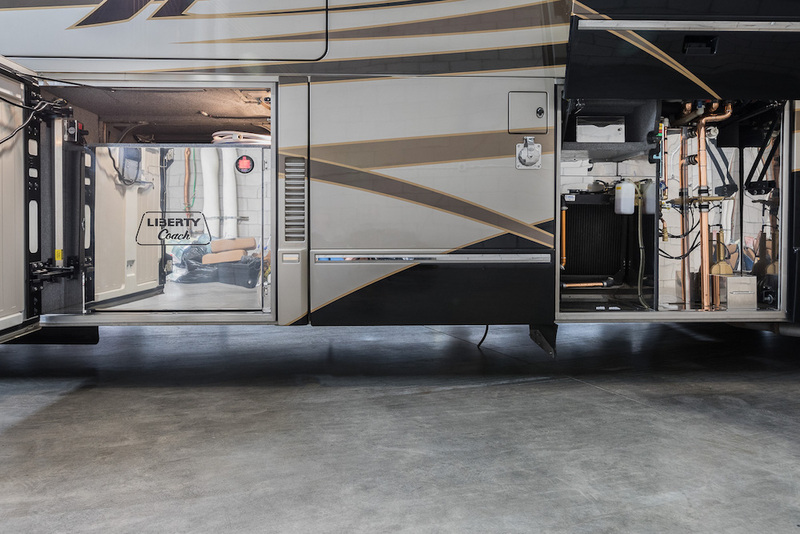 This Well Cared For Liberty Also Has Resent Michelin Tires & AGM Batteries. 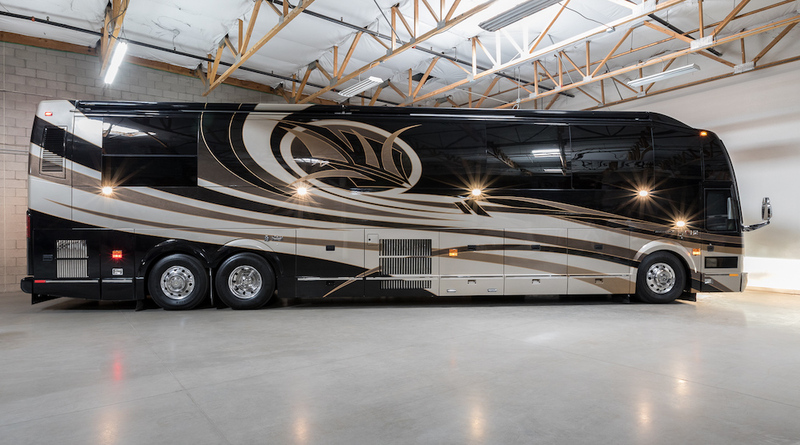 Please Contact Us To Learn More About This Fabulous Liberty Elegant Lady.